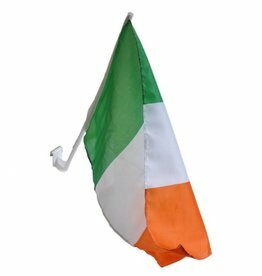 Our Ireland Car Flag is the perfect way to display your Irish Spirit around town! Mounts on any vehicle window! Made of 100% knitted polyester with reinforced stitching, mounted on a 20" plastic pole with bracket.